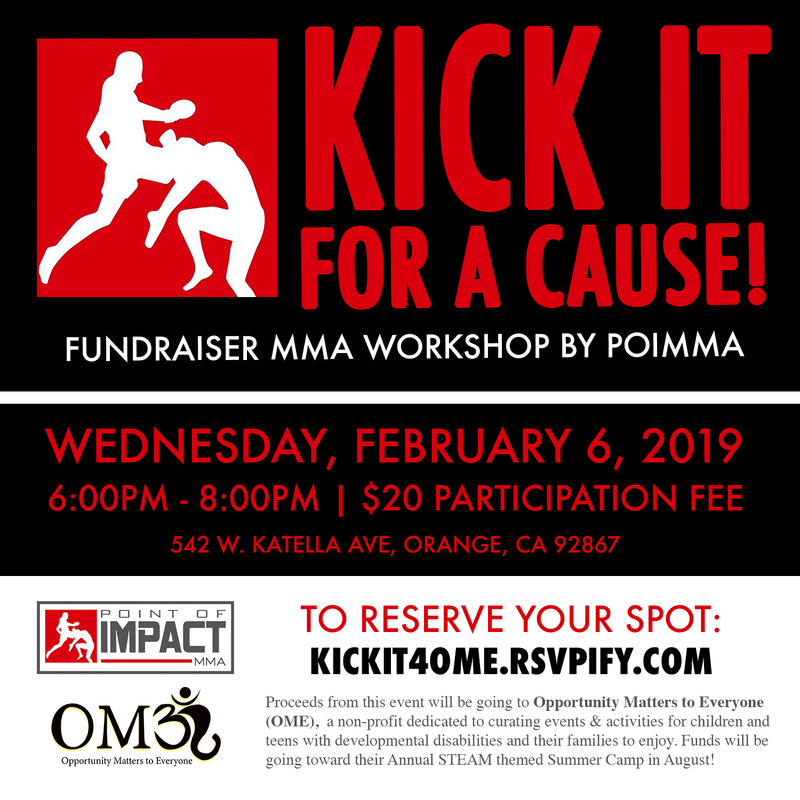 Point of Impact MMA is hosting their Kick it for a Cause! MMA Fundraiser! Proceeds Raised will go to us, Opportunity Matters to Everyone (OME) to fund our Annual STEAM themed Summer Camp for Children, Teens and Young Adults with Special Needs. Come learn some cool mixed martial arts moves, burn over 1,000 calories and support a great cause! Learn with top notch professionals and checkout the amazing Point of Impact MMA Gym and all it has to offer!